Premier Brad Wall is indicating the planned changes to the corporate income tax rate won’t go ahead. 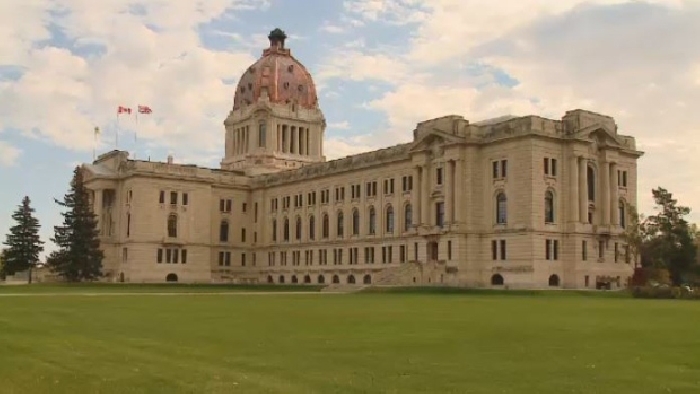 Talking to reporters at the Saskatchewan Legislature Thursday, Wall said the change wasn’t necessary now that the B.C. government had increased its rate. “So for us to continue to be the most competitive, have the lowest or tied for the lowest corporate income tax rate, means we don’t need to lower the our rate,” Wall said. The 2017-18 budget announced a decrease in the corporate income tax rate from 12 per cent to 11.5 per cent on July 1, 2017, then a further reduction to 11 per cent on July 1, 2019. Wall wouldn’t indicate whether the tax change made in July would be reversed but he did suggest other measures for businesses would be taken instead. “Rather than reduce the rate by a point, we’ve instead asked ourselves is there something we can do on the small business side instead,” Wall said. "So, we will roll back our corporate income tax decrease and reduce taxes for small businesses instead, maintaining and even enhancing the Saskatchewan Advantage." More details will be released in the Throne Speech this Wednesday. By reversing the budget decision government does save money and while “it isn’t a lot,” Wall said it is enough that other measures can be taken with the rest put back into the treasury. The Throne Speech is scheduled for Oct. 25, 2017. This will be Wall’s last session in the Saskatchewan Legislature. He announced his retirement from politics in August.